In Laveteria, Blade, The Vampire Hunter continues his fight and goes after the Vampire Queen, only to discover it's his mother, Miriam. She escapes to New York, where she tries to beguile the now revived Morbius into revealing his knowledge of the Neogenic Recombinator, which she wants to use to create more vampires, which she does by telling Blade that she wants to be normal. She succeds in creating some vampire children, as she calls them, but she's stopped by Spidey, Black Cat, Morbius, and Blade, who's convinced to fight his mother by Det. Lee. 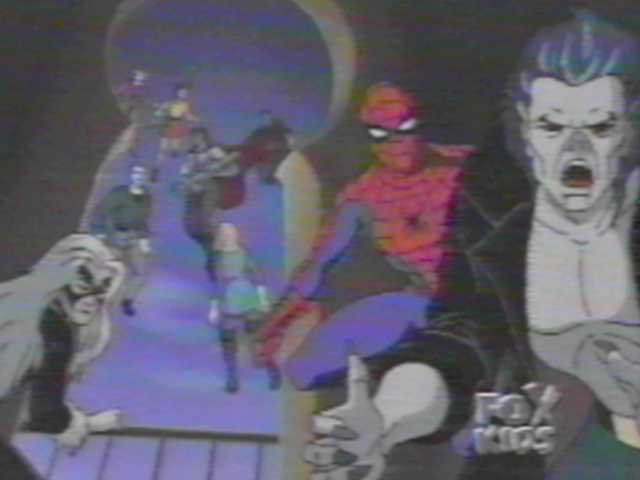 In the end, Miriam escapes, and Black Cat and Morbius join Blade on his quest, leaving Spidey alone, again. This is also one of the darker episodes of the series.